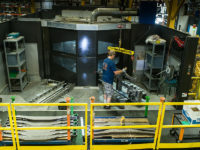 Cutting edge technology puts shops on the forefront of production. But the cost for increased speed and more precise manufacturing usually comes at a hefty price. Enter Toyoda’s Remanufactured Products Division (RPD). 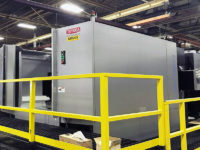 Instead of investing in a new machine to replace outdated models, this facility has found a way to breathe new life into old machines for a fraction of the cost of buying new. Located in Wixom, Michigan, RPD rebuilds and remanufactures machining centers, and specializes in rebuilding cylindrical grinding machines for automotive OEMs and high-volume parts suppliers. 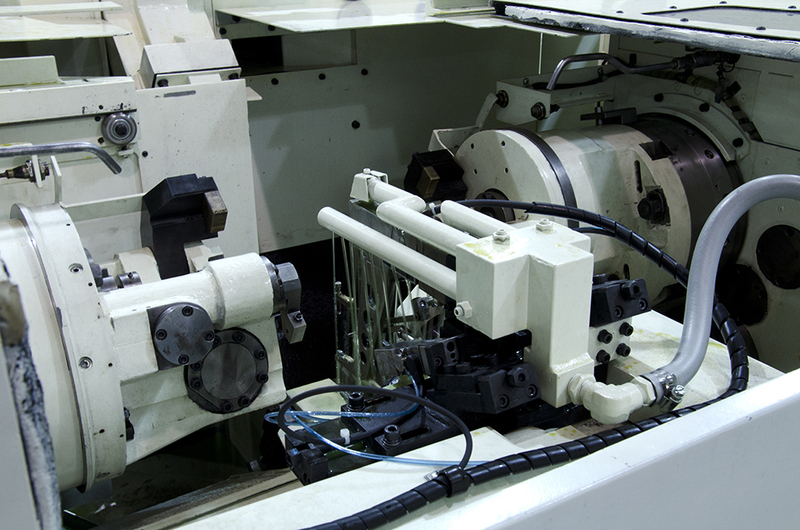 One of the many specialties of the company is retrofitting new CNC controls on older model machines. RPD is currently working on its second pin grinding machine from a top American automotive company. This machine is one of many retrofits the facility will be completing in 2012. The automotive company’s existing machines came into RPD as 15- to 20-year-old machines in need of complete remanufacturing. The existing controls contained obsolete hardware, RPD Operations Manager Vladimir Margolin said, making it difficult for the customer to stock replacement parts. If components were to fail on the controls, the machine would be out of commission. “We needed to upgrade the controls in order to keep up with the technology,” he added. For this project, RPD is updating the older controls to Toyoda’s latest GC50 controls. The 12.1” touch panel, color screen displays allow for 64 different parts to be made on the grinding machines. According to Margolin, the great advantages GC50 controls offer are that they can control 18 axes — with six of them moving simultaneously — and that the NC block processing time is a mere .2 milliseconds. The new display is also more conversational, taking operators through the process step-by-step, allowing them to input all the information they need on a single screen. The GC50’s single display — compared to the multiple screens operators are used to checking — allows shops to streamline operations. This increases a shop’s productivity, Margolin said, because operators no longer have to walk back and forth between displays to know they’re running a good part. The new controls also include in-process gauge feedback, making the machines capable of automated production. Other conveniences of the retrofit can be seen in the new controls’ accessibility. GC50 controls have built-in USB drives and Internet access. “You don’t have to have a special drive or cabling,” Margolin said of the Windows-based GC50 controls. In fact, a part program could be put on a USB flash drive and given to an operator who only has to load the program into the machine — with no math or calculations needed on the operator’s end. 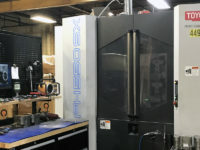 With proper computer software, Internet access allows shop owners to see the machine’s production numbers, cycle time, part accuracy, and part quality from a remote location. RPD can also custom program controls with features such as on-screen part drawings. A control retrofit makes a machine much more reliable, Margolin said. AC or DC servo motors are replaced with digital servo motors and associated amplifiers, making the controls less susceptible to noise. These digital replacements reduce the number of mechanical parts, so there are fewer pieces that can go wrong down the road. This automotive customer’s machines are also being completely remanufactured by RPD. Some degree of remanufacturing is not uncommon when retrofitting a machine with new controls because mechanical work is usually needed on older machines, Margolin said. For this project, RPD is rebuilding all subassemblies on the machines, which includes the work-head, foot-stock, and wheel dressing mechanism. The machines are stripped down to their base castings and rebuilt to OEM specifications. For remanufactures and repairs, RPD orders parts directly from JTEKT (Toyoda’s parent company), domestic distributors, and the original manufacturers—if possible. RPD understands that shops stock OEM replacement parts and cannot afford to wait days for the right part to arrive to fix a broken machine. 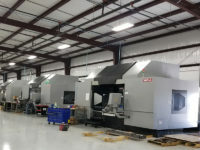 To keep customers’ costs down, the facility will also reuse existing parts that won’t affect the performance of the machine. The same grinder was also remanufactured to OEM specifications.